A photo teaser for a bike project we’re working on. 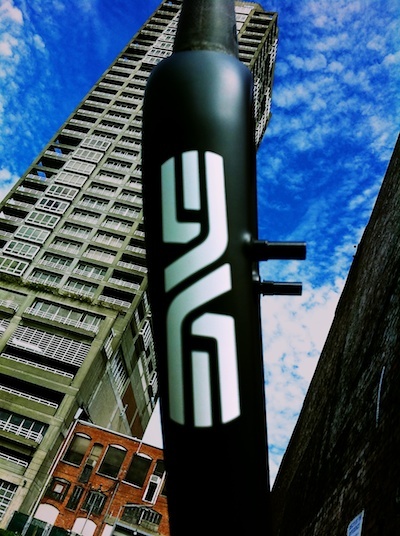 That’s the Enve tapered Cross fork. The bike is being built here in Seattle in the brick building on the right by Bill Davidson with design and styling by Mark V.
It’s called the Cross Mode.